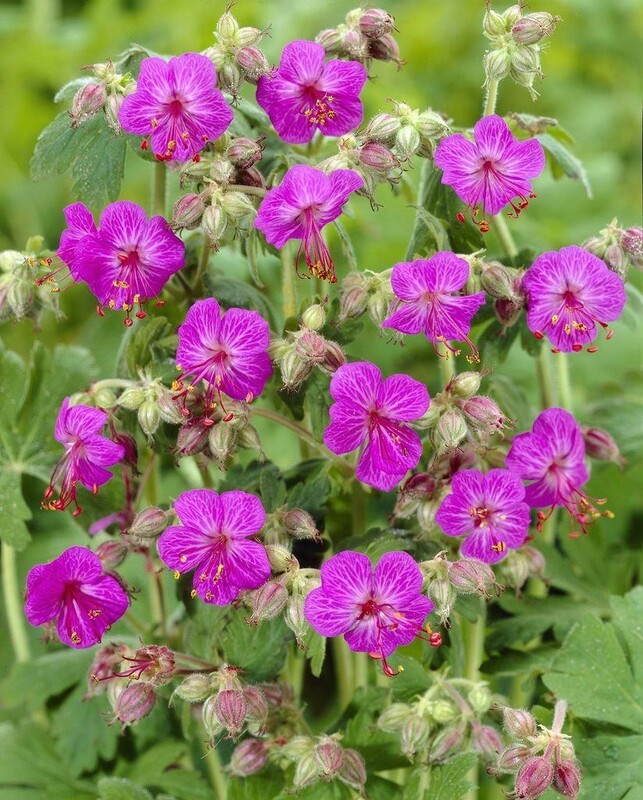 An early flowering hardy geranium with evergreen aromatic leaves beneath deep magenta flowers held in clusters. Excellent in sun or shade. 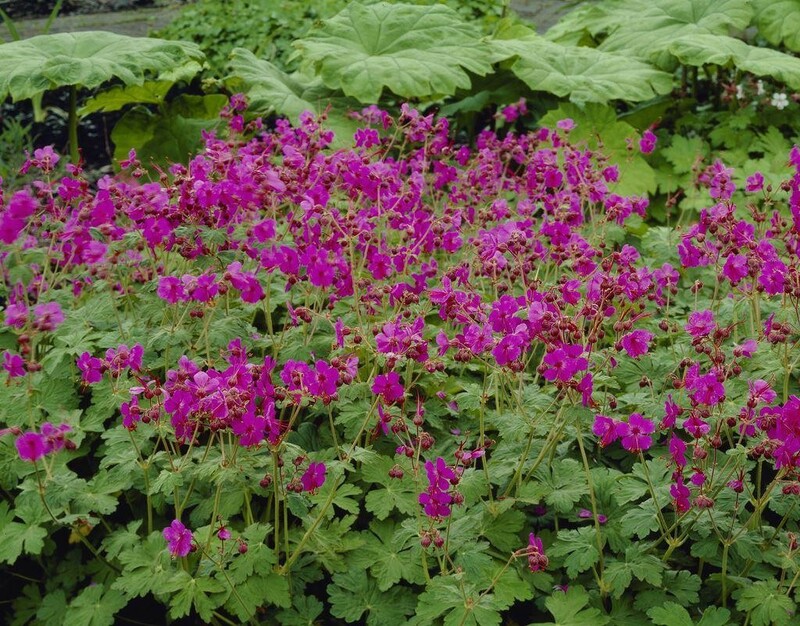 This is one of the most versatile and useful geraniums, as it will even thrive in dry shade. The deeply cut, semi-evergreen foliage also spreads quickly to form low hummocks that suppress weeds for most of the year. It looks lovely with strongly shaped perennials, such as bergenia, or polemonium, or planted en masse under trees, and is also valuable for hiding the foliage of spring bulbs as they die down. The leaves often turn red in autumn, too. Height up to 30cm (12''). Supplied in approx 2-3 litre containers.